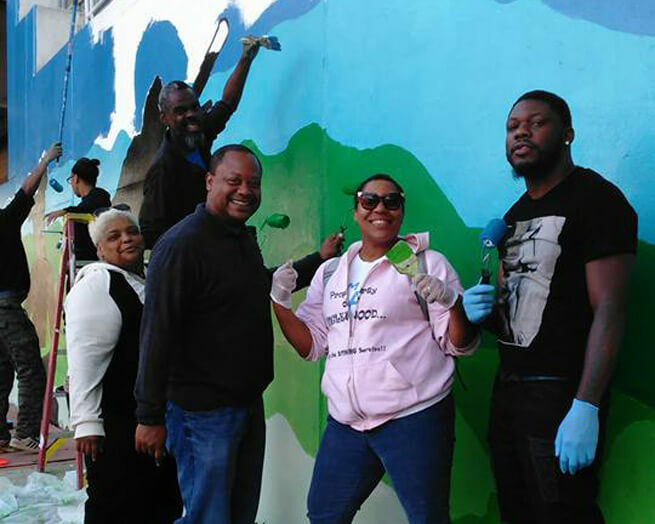 She started by building a network of other community-minded residents, who shared her vision and hope for a vibrant, growing neighborhood. In 2010, she co-founded R.A.G.E. or Resident Association of Greater Englewood. Starting with 13 members, R.A.G.E. looked for ways to empower leadership within the community to help take on the complex problems that impact and stigmatize Englewood – ways to come together as the voice of the community. Seven years later, with Butler serving as the President, R.A.G.E. has over 250 members and an impressive list of accomplishments highlighted in their most recent Impact Report. Accomplishments include countless community meetings, political forums, and workshops; cultural events such as So Fresh Saturdays and hosting Midnight Circus in the Parks; and activism leading to developing Large Lots—an effective way of dealing with vacant lots, plans to effectively repurpose closed schools and advocacy for ensuring TIF dollars are spent in Englewood. That’s just to name a few. In 2016, Butler left her job of 16 years on the Mag Mile to take make her passion her full-time focus as a Community Strategist for various Englewood projects. “I can now devote all my time to my true passion that includes, real estate, leadership development, arts and activism, building community wealth and continuing rebranding our community,” said Butler in her blog, The Life of Mrs. Englewood. Yes, Butler sees the ongoing high rates of unemployment; yes, she sees the boarded up, foreclosed houses; yes, she’s aware of the crime statistics. But when Butler walks through her neighborhood, she sees so much more than statistics and news headlines. Stepping up as a Community Activist and Leader has allowed Asiaha Butler to meet and engage with the many amazing residents of Englewood. People like her, who work every day to make a positive change in their community. 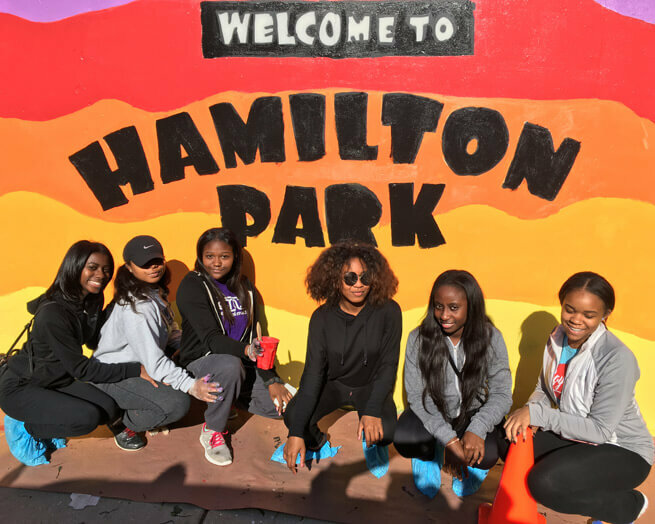 Hamilton Park Advisory Council Meetings take place the 1st Tuesday of the month at 6:30 pm. R.A.G.E. Village Meetings take place bi-monthly on the 3rd Tuesday of the month at 6:00 pm.